Prevent any permanent damage on your iPad Mini 1, 2 or 3 with a custom hard case. Your photo printed with high quality, scratch resistant ink. Protects the sides and back of your iPad Mini with this case. 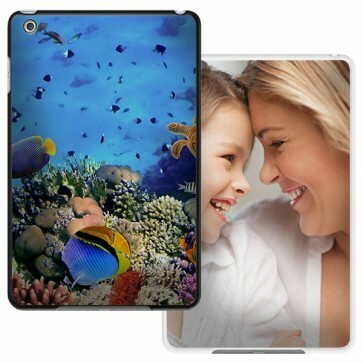 What is a personalised iPad mini hard case? A iPad mini hard case from GoCustomized is a unique and stylish way to protect your iPad mini from potential damage. The hardened plastic case protects the sides and back of your iPad mini. It is easy to click on and off the iPad and ensures that your device stays looking newer for longer. 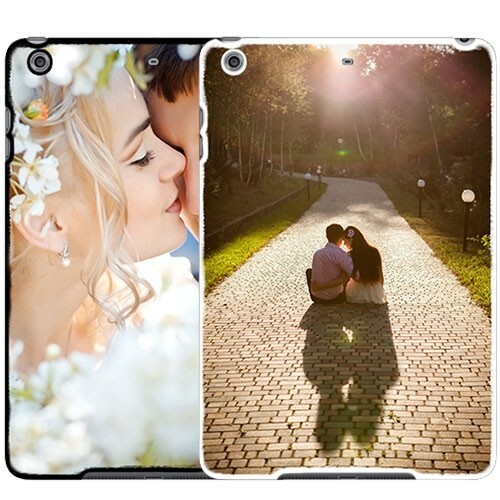 Feel free to use any of your favourite images to design you very own personalised iPad mini case! How do I design my own iPad mini hard case? To get started, first select a base colour you would like for your iPad mini hard case. The base colour is the colour that will remain on the sides of the iPad case once it has been completed. For the iPad mini hard case you have the choice between a white or black base colour. After you have made a base colour choice, you can upload an image straight from your computer, tablet or smarthphone. You also have the option to upload an image from your Facebook or Instagram account. Mess around with all the different editing options available until you have made exactly what you are looking for. Satisfied? Then order away! Once you have checked your design and sent your master piece to us, we will get started producing your case immediately. Each and every case is made especially for the customer, there is no mass production line here at GoCustomized. If a flaw has been found in your design that would result in an unsatisfactory end result, one of our specialists will contact you with possible solutions. Only the best of the best materials are used in our cases!